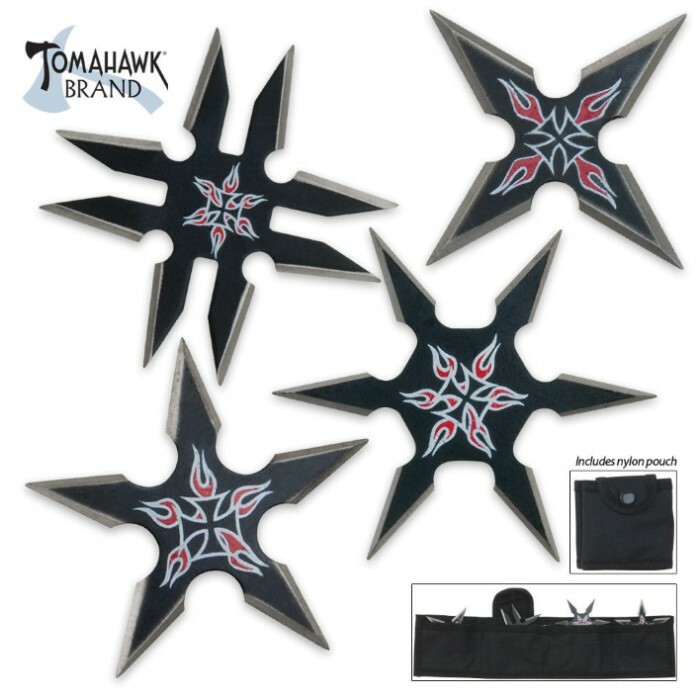 This throwing set offers four assorted throwing stars constructed from stainless steel with a black finish. 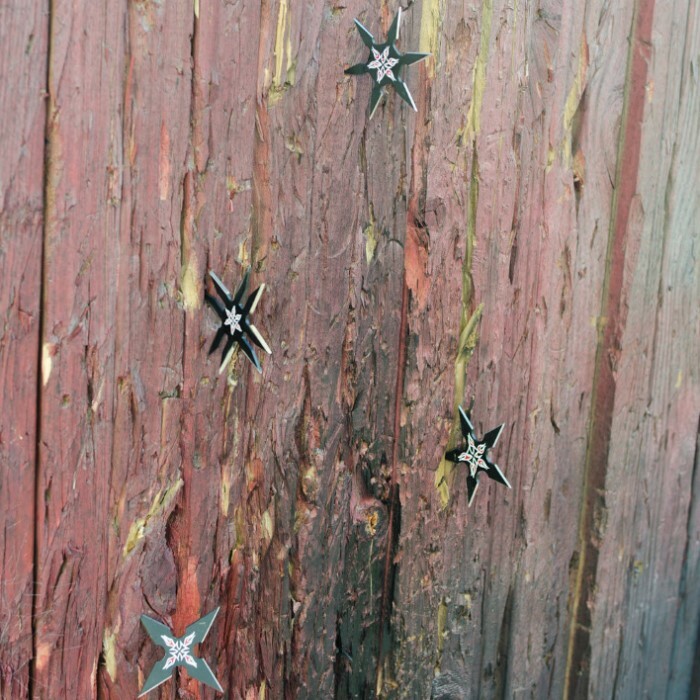 Each throwing star measures 2 1/2" in diameter and is accented by a flaming Chopper (Iron Cross) emblem . This set includes a nylon pouch for easy storage and carry. Good for small stars. Sharp when I received them. The four pointed thrower doesn't stick very well and the five pointed thrower doesn't either but the other two are great. When I ordered these with a few other knives, I had already tried my hand at throwing knives. my buddy told me to start with throwing stars because they are easier to learn. after waiting for my order to come in, I dropped by a pawn shop and picked up a 2 piece throwing star set for $10. they worked good but soon dulled out. when my order came in I immediately went to the wood pile to test them out. HUGE DIFFRENCE! These stars throw very smooth and landed perfect every time! plus the nylon pouch easily conceals on my belt. these are fun, affordable, and sharp! These stars are awesome. They come very sharp and stick easily. My only concern is that they are way smaller than I expected but are easy to find if you miss the target. They are really worth the price. Sticks almost every time. Great buy! Will be buying these again. Great Starter set, Yes they are somewhat small , but still effective, they will help you decide what type you would like to but a lot of.